Alexis Tsipras is the leader of the Coalition of the Radical Left in Greece (Syriza), who recently was elected Prime Minister. This interview was conducted in October 2014 in Athens by Haris Golemis, who is an economist, Director of the Nicos Poulantzas Institute (Greece), and member of the Central Committee of Syriza. It was translated by Maria Choupres, and first published in the Transform Network Yearbook for 2015. Haris Golemis (HG): Just three years ago, Syriza’s presence in Greece’s political landscape was quite small. Today, Syriza is predicted to be the frontrunner in the next elections – making you the next Prime Minister of Greece. What factors do you believe have led to Syriza’s meteoric rise in popularity, and do you believe that similar results are possible in the near future, elsewhere in Europe? Alexis Tsipras (AT): The effects of the crisis on Greek society have been truly devastating. It comes as no surprise that there have been major changes in the political scene. Syriza has always offered a detailed analysis of the crisis and the underlying causes. While the mainstream parties led people on – rather brazenly, I might add – we were vehement that austerity would have severe negative consequences and lead to recession; these policies simply weren’t sustainable. We supported grassroots initiatives, including major demonstrations and the social solidarity movement. Lastly, our political emphasis has been on uniting the left. This was critical – and it really resonated with people. The response from the Greek people was immediate – and clear. 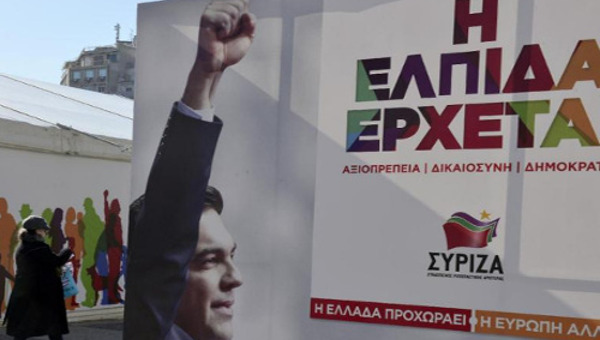 During the May 2012 elections, Syriza captured seventeen per cent of the vote, and during the second round of elections the following month, Syriza’s numbers increased to 27 per cent – just three percentage points less than the centre right party. It’s important to note that we achieved these numbers despite the mainstream media’s relentless fear mongering. While we did our best to address these scare tactics, we weren’t able to overcome them to the extent needed to be placed first in the elections. We didn’t rest on our laurels after the elections, though. We diligently worked to develop a detailed programme outlining how to exit the crisis, including ending austerity and renegotiating the terms of the debt. Today, we have a fully comprehensive programme to address the debt. Key aspects include renegotiating the terms with our European partners, along with a detailed plan to spur economic growth, address unemployment, strengthen the welfare state, and provide relief to the members of society hit hardest by the crisis. It is imperative that we implement these changes; austerity and budget cuts are not sustainable and only serve to further destroy social cohesion. To answer the second part of your question, I’d like to point out that while we witnessed a rather dramatic political shift in Greece, similar shifts have also been occurring elsewhere in southern Europe. United Left and Podemos captured eighteen per cent of the vote in Spain in the European elections, very close to the Socialists and the Popular Party whose popularity has since plummeted. These numbers represent an increase of two and a half times from the results of the 2011 national elections. We hope that the United Left and Podemos will have even stronger results in the upcoming 2015 elections. Also, Sinn Fein’s success in the European elections was a significant development for Ireland, another country decimated by the Memoranda for bailing out the banks. Italy is showing signs of an uptick for the left, a trend seen in many European countries, including Slovenia. 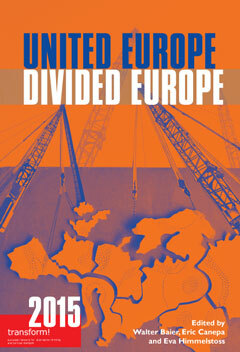 In the early 1990s, the European social democrats formed an alliance with the right to promote neoliberalism across Europe – something they are now paying dearly for in the wake of the economic crisis. This is why I believe that the left is Europe’s only hope for overcoming the crisis. The austerity policies implemented by conservative and social democratic governments have reached their tipping point, as have the fiscal targets assigned by the European Union, which are unachievable for any country. This simply can’t continue. If Europe does not ‘turn’ toward the left – embracing growth, decent work and the welfare state – its other choice will be right-wing extremism and Euroscepticism. The setbacks will have terrible consequences. It is important to note that our work doesn’t just end with abolishing austerity. Our mission is not simply to carry out the unfinished work of post-war social democracy, but rather to enable the radical transformation of society across Europe, based on socialism and democracy. This is our goal as we seek to form new social alliances that will unite the working and middle classes, the unemployed, the most disadvantaged members of society, intellectuals, and social movements, around a common struggle: the struggle to liberate society from the effects of cutthroat profiteering, and to foster social justice and democracy, an economy that will focus on people’s needs, and a welfare state that ensures education, health, and dignity for all. To call a halt to the ‘free-market’ policies responsible for miring Europe in the economic crisis, the European left must have a feasible and realistic political strategy, in addition to a unifying vision – these go together. HG: Your opponents, on both the right and left, claim that your position on abolishing the Memoranda and austerity, and renegotiating the debt will result in one of two possible outcomes since Greece is not a political heavyweight in the EU. You will either have to backtrack, recognizing that you can’t achieve your goals or you will be forced out of the eurozone and/or European Union. What is your response to such claims? AT: First off, I think that we should be more worried about what will happen if Greece does not change course and continues being the guinea pig for the neoliberal policies that have been implemented to supposedly address the crisis. There are many people in this country searching through the trash for food or whose homes no longer have electricity. The elderly are faced with the decision whether to spend their pension money on food or medicine – the money they receive isn’t enough for both. The real economy is in shambles, and unemployment has skyrocketed. Our young people consider emigrating as their first option. And the possibility of being stuck living under these conditions for the foreseeable future is all too real – trapped by austerity and recession, without decent wages or work, without dignity. Obviously, we don’t intend to run the ship into the ground. We are opposed to austerity, and we’re not alone in taking this position; there is growing resistance to these policies, not only in Greece, but across Europe. We’re prepared for the challenges we’ll surely face, and we’re carefully preparing for these; we intend to honour our commitments. With the confidence and support of society, we’ll be building a future on solid foundations. Being forced out of the Eurozone is no simple matter – first of all, it’s not allowed under the European treaties. A ‘voluntary’ exit is extremely risky, with dangerous consequences for Greece and for Europe – especially given the fragile nature of the current economic, social, and geopolitical realities. It’s in no country’s interest to further disrupt the continent’s already tenuous balance. Such a risk can be avoided altogether if governments and institutions in the EU accept that Greece and other smaller European countries are equal partners in the EU and that they have a democratic right to elect leftist governments. Given these circumstances, I’m personally optimistic about the developments we can expect. 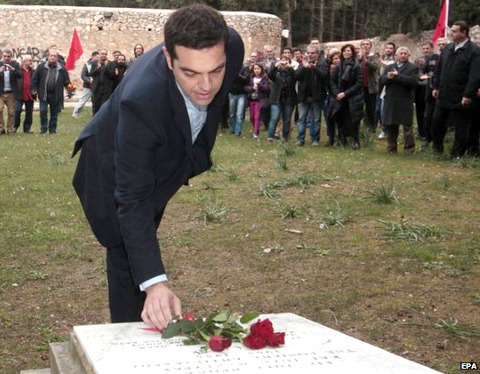 Alexis Tsipras’s first act after being sworn in was to lay flowers on the National Resistance Memorial in Kaisariani, to honor the resistance fighters and as a symbol of liberty from German occupation. In order to be fully transparent, we’ve been clear about our intention to renegotiate the terms of the debt. We will seek to have a large part of the debt waived, and the repayment of the balance subject to a growth clause. You can’t repay a debt if you’re not allowed to work – this was exactly the logic that was applied to Germany’s debt obligations after the Second World War. Without a similar compromise, Greece’s economy cannot achieve much needed economic growth. We’ve also been forthcoming about having public investments excluded from the Stability and Growth Pact (SGP), as well as having national bonds backed by the ECB. We strongly believe that the issue of the debt has to be dealt with at the European level. Additionally, a ‘European New Deal’ is necessary, to allow for public investments funded by the ECB. 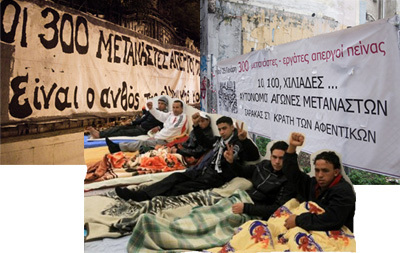 Reparations due to Greece from the Second World War are also on the table. We’ve alerted our European partners that a left government will seek to recoup these, until now, outstanding funds. As I said before, I’m optimistic about the developments – even though I’m sure that they won’t all come about smoothly. The insistence on strict budgetary discipline by the German government and a few smaller allies will undoubtedly add friction; however, there is a slow but growing dissent across Europe – including those whose dissent would have been unthinkable just a few months ago. For this reason, I believe that Syriza will be able to generate wider support for its political positions. So, getting back to my initial point – if we chose inaction, we can be certain that we’ll be missing a historic opportunity for change; we’re committed to using all of the resources at hand, and seeing the matter through to a solution. HG: You, along with other members of Syriza, have been in contact with individuals and organizations, including conservative politicians and executives from the private sector, who are not necessarily supporters of the left. You’ve met with Pope Francis, Wolfgang Schäuble, Mario Draghi, representatives of the International Monetary Fund, and even participated in the Ambrosetti Forum. What are you hoping to gain from these meetings, and how has your message been received? AT: Syriza’s rise was initially treated as a dangerous development by European leaders, as well as by the Greek political mainstream. 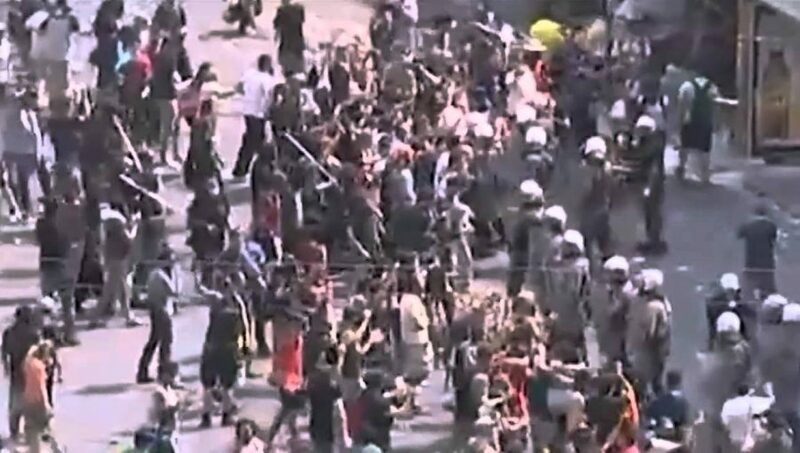 There was talk of ‘extreme radicals’ willing to risk a eurozone exit and widespread political turmoil in Europe, and the ‘theory of the two extremes’ was used to lump Syriza with far-right and Eurosceptic parties. This was done to portray Syriza as unfit to negotiate with the European partners, and unfit to run the country, bringing about Greece’s certain downfall if elected. Fortunately, this rhetoric has subsided; most people have come to terms with the likely fact that the next Greek government will be a government of the left. And I think this is a positive development. The international contacts we’ve made have helped bring about this shift. It’s understandable that many people are interested in meeting us, hearing our views, and exchanging ideas, to get a better sense of our goals. And we’re interested in learning the same about our contacts, as well. As we’ve become better known, this has helped to dispel the myths and rumours that Syriza wants to create mayhem in Europe; we’re now viewed as a party that will be a reliable ally – or opponent – with a strategic plan, policy positions, and nuanced views. We are open to meeting with anyone, to discussing our policy positions, and exchanging views. This in no way means we will owe future favours or will make concessions in our programme. Of course, there has been some grumbling – that a left party should not be meeting representatives from the world of ‘capital.’ While I understand these sentiments, I believe it’s important to be able to defend your views; regardless of whom you speak with, what’s key is being able to hold your ground, to express your views, rather than simply saying what the other person wants to hear. Our goal is to show that we can credibly debate the issues, as well as offer a viable alternative to the current political framework. Our discussions, and the way that our views have been received, makes it even more clear to me that meeting with these contacts is absolutely the right thing to do – regardless of whether they hold opposing views. Our international efforts and the contacts Syriza has made highlight the contradictions and conflicts that exist in Europe, giving us greater insight – something which is exceedingly useful. For example, when Syriza was invited to participate in the Ambrosetti Forum, it was not because the organizers suddenly became fond of our views or because they wanted to coerce us in some way. To be frank, we were invited to help send a message to the German government; our position, that Europe must put an end to austerity and focus instead on growth, was met with applause. Despite this, we were fully aware that we didn’t share common views on the issues of decent work and the welfare state with many of those in attendance. However, on the points where we can agree, we intend to make the most of these alliances; we simply don’t have the luxury not to. I firmly believe that this is the right course of action. We are in no way opposed to meeting with individuals where we have strong differences of opinion, like Wolfgang Schäuble. Our goal is not to catch anyone off guard with our views. We believe in being transparent. By holding these kinds of meetings we seek to foster dialogue, which may ultimately aid in the process of future negotiations. The members of the current [Greek] government are the only ones not benefiting from our efforts abroad; they cannot continue with the usual scare tactics, trying to paint Syriza as an unwanted partner in Europe that is bent on bringing ruin to Greece. I’d like to specifically call attention to my visit with Pope Francis, which was organized by transform! . The Pope has an impressive social [justice] agenda. The fact that this meeting took place is indicative of just how critical Greece’s position is considered, both symbolically and literally, given the extremely fragile social balance in Europe. My country has suffered a humanitarian catastrophe that is unprecedented during peacetime, but we are also the country that is closest to reversing the policies that have brought us to this point. This will be significant for all of Europe, and especially for our people and societies. I believe that this is what caught the Pope’s interest and led to our meeting. This meeting truly illuminated the problems we face in Greece, given the Pope’s global prestige; it helped raise awareness of the situation for people in Europe and beyond. 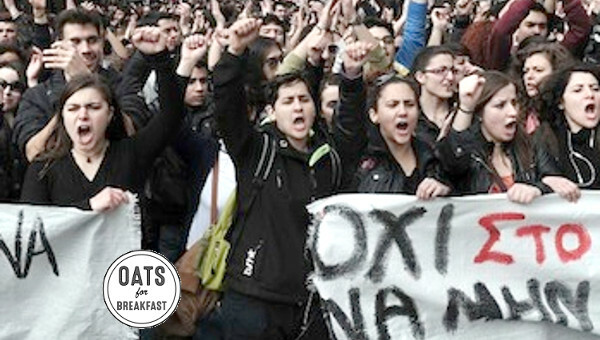 The increase in solidarity positively affects Greece and the Greek people – and Europe, as well. With greater solidarity comes a greater chance for seeing change across all of Europe. HG: You’ve visited a number of countries in the past that no longer subscribe to neoliberalism, such as Venezuela, Brazil, and Argentina. Many of your adversaries consider these visits part of the ‘radical’ days of Syriza, and that you’ve since ‘changed your tune’ and stopped associating with ‘bad company’ now that the party is on the verge of governing Greece. What are your thoughts on this? AT: Latin America has also been subject to the IMF’s ‘adjustment programmes’ – the same ones that we’ve become subject to in Europe post­ 2008, from the IMF and others. These programmes were implemented through the use of military force in some cases, with devastating results for society. Today, these countries have cast aside neoliberalism and have developed their economies as they’ve seen fit, putting emphasis on growth. They have broad support from their citizens despite the challenges they face, as they pursue new methods of wealth distribution and productive reconstruction, universal access to healthcare, education, and social security, and the strengthening of their democratic institutions. And it certainly seems that the efforts are paying off. This greatly interests the left across Europe, as we intend to challenge neoliberalism on the continent. We can certainly benefit from cooperating with Latin America through the exchange of best practices on key matters, such as our shared views on economic crises, debt, or international trade agreements. The left has been following the developments there for quite some time, long before the consequences of the crisis resulted in the historic opportunities that are now before us. The supporters of neoliberalism are averse to these kinds of developments that are not in line with their views, and would have us believe that only those who support their doctrines are ‘democratic’ regardless of the level of coercion or corruption involved; social movements and politicians who don’t value markets over people are considered populist. It’s time for our adversaries to make peace with the fact that the left is creating an alternative programme for governing in Europe, as well as new alliances. A close working relationship with our European partners does not preclude us from drawing on certain examples or experiences from Latin America. As we form our political and social strategies, it’s important to monitor how developments are unfolding in Latin America. HG: Syriza’s chance to govern and implement new policies is a matter of great importance to the left, trade unions, and social movements across Europe – and one of great interest to transform! . In what ways can these supporters and progressive European citizens help during the pre-election period and after your much anticipated win? AT: This is a really important issue, because the left derives its strength from society. The dire situation in Greece brought about the opportunity for Syriza to create change. Our efforts will gain momentum when we form our government. We realise there will be many challenges, and the real work will begin once we’ve been elected. We’re not just fighting for change in Greece – ours is a struggle for political change across Europe, a struggle against the current system that allows speculators and the world of capital to hold people hostage. We believe politics and economics should be centred around people’s needs, decent work, a thriving welfare state, environmental protections, democracy. The left’s success in Greece could create new opportunities across Europe. The left stands together with the various grassroots movements, and all people – be it in the North or the South – who realise that our common future depends on a democratic and social Europe. We’ve received, and continue to receive, so many messages of solidarity and peace from across the globe. Solidarity isn’t something that’s simply an emotional boost – it’s also an important factor in the social and political struggle to change things in other countries. To give you an example from the European elections – our comrades in Italy chose to name their party L’Altra Europa con Tsipras. It’s not the name that’s significant actually but the message that the party wanted to convey. They explained that they, too, wanted to ‘feel Greek,’ to create momentum for change in Italy, similar to what was happening in Greece. And that boosted momentum for all of us. We both reached the goals we had set out for our respective countries, while sending messages of unity and solidarity. We don’t think of ourselves as existing in a separate sphere – we’re a part of the European left, and together with all the parties of the left, we face a common struggle. We’re interested in the success of all these parties; our joint successes will be the only way to achieve the results we hope for, both in the medium and long term. Each step taken forward, each small or big victory, in Europe and beyond, is important because our struggles are shared. A win for Syriza, and the formation of a left government in Greece, will be a first major step for all of us. The assistance and support from other countries will be critical; it will be a message of hope to the Greek people, fortifying people’s resolve and determination to take matters into their hands. Alexis Tsipras is the leader of the Coalition of the Radical Left in Greece (Syriza), and Prime Minister of Greece.